This year’s Mad Decent Block Party has been a ton of fun. We’ve been sending out writers to review multiple ones around the country and I personally went to Philly’s. They’re an amazing time full of good music and great people. The lineups this year have been quite on point. They really wanted to throw down extra hard. 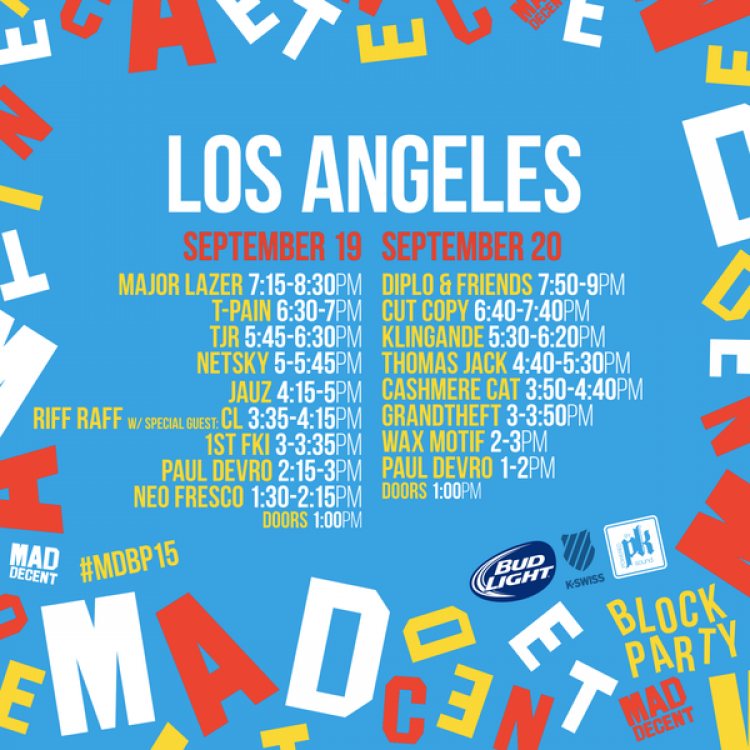 Anyway, they decided to stream the Los Angeles Mad Decent Block Party which means you guys get live sets! Posting them as I find them!